Watch your favorite TV live and on-demand wherever, whenever with DIRECTV NOW. You can watch your favorite channels including AMC, NBC, FOX and many more on your tablet, smartphone, laptop or other streaming devices! 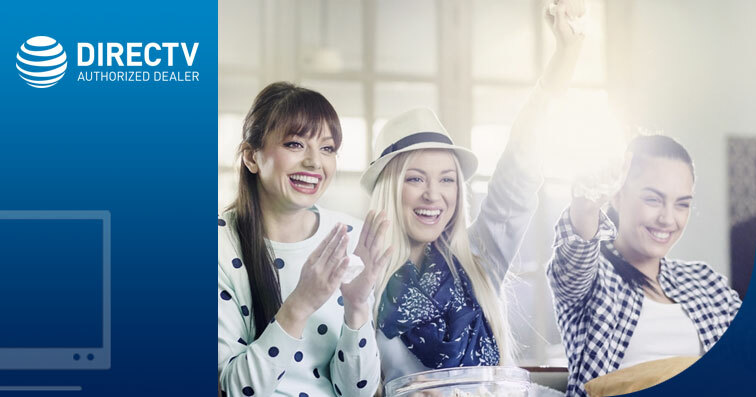 Best yet, the DIRECTV NOW package gives you more freedom with no contracts to sign or equipment to buy. DIRECTV NOW streaming TV makes your television experience easier, more flexible, and less hassle. Stream live TV and on-demand programming on the go, and forget about having to sign a long-term contract to do it! DIRECTV NOW pricing allows you to add the premium channels you want at just a small cost. Check out the 4 popular DIRECTV NOW packages below! Take advantage of budget-friendly DIRECTV NOW pricing to get the most channels for your money with the Gotta Have It package! **Access to available DIRECTV On Demand programming is based on package selection. Actual number of shows and movies will vary. Additional fees apply for new releases. Some DIRECTV On Demand content requires an HD DVR (HR20 or later) or DVR (R22 or later), DIRECTV CINEMA Connection Kit. ALL DIRECTV OFFERS REQUIRE 24-MO. AGREEMENT. ADD’L FEES APPLY. New approved residential customers only (equipment lease req'd). Credit card req'd (except MA & PA). Pro-rated ETF fees (up to $480) and Equipment Non-Return fees apply. 1-YR ALL INCLUDED PACKAGES: Ends 4/22/17. Price includes All Included TV Pkg and monthly fees for a Genie HD DVR + three (3) add’l receivers. After 12 mos. or loss of eligibility, then prevailing rate for TV package applies unless cancelled or changed by customer prior to end of the promotional period. Some offers may not be available through all channels and in select areas. DIRECTV SVC TERMS: Subject to Equipment Lease & Customer Agreements. Must maintain a min. base TV pkg of $29.99/mo. Add’l Fees & Terms: In certain markets, Regional Sports fee of up to $7.29/mo. assessed with CHOICE and MÁS ULTRA Pkg and above. $19.95 Handling & Delivery fee may apply. Programming, pricing, terms and conditions subject to change at any time. Visit directv.com/legal or call for details. 2017 NFL SUNDAY TICKET OFFER: Package consists of all live out-of- market NFL games (based on customer’s service address) broadcast on FOX and CBS. Games available via remote viewing based on device location. Other conditions apply. 2017 NFL SUNDAY TICKET regular full-season retail price is $281.94. 2017 NFL SUNDAY TICKET MAX regular full-season retail price is $377.94. Customers activating CHOICE or MÁS ULTRA Pkg or above will be eligible to receive the 2017 season of NFL SUNDAY TICKET at no add’l cost and will receive a free upgrade to NFL SUNDAY TICKET MAX for the 2017 season. NFL SUNDAY TICKET subscription will automatically continue each season at a special renewal rate unless customer calls to cancel prior to start of season. To renew NFL SUNDAY TICKET MAX, customer must call to upgrade after the 2017 season. Subscription cannot be canceled (in part or in whole) after the start of the season and subscription fee cannot be refunded. Only one game may be accessed remotely at any given time. Compatible device/operating system required for online/mobile access. Additional data charges may apply. Visit directv.com/nfl for a list of compatible devices/system requirements. Short Cuts are available from midnight Sunday ET through midnight Wednesday ET via the NFL SUNDAY TICKET App. For full Mix Channel and interactive functionality, HD equipment model H/HR 21 or later is required. DIRECTV ON DEMAND: Access to available DIRECTV On Demand programming based on package selection. Actual number of shows and movies will vary. Additional fees apply for new releases. Some DIRECTV CINEMA and On Demand content requires an HD DVR (HR20 or later) or DVR (R22 or later), DIRECTV CINEMA Connection Kit and broadband Internet service with speeds of 750 kbps or higher and a network router with an available Ethernet port. Downloading On Demand content may count against your data plan allowance. Visit directv.com/movies for details.